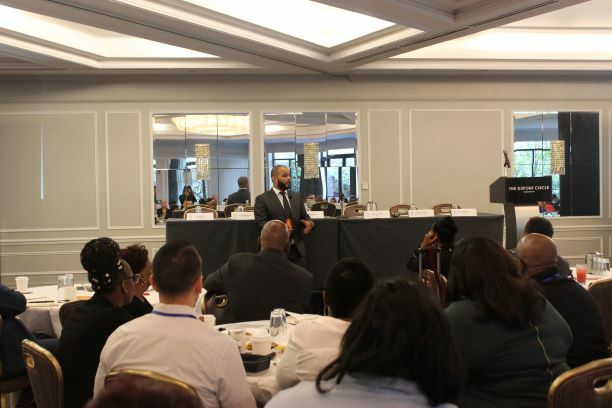 And during their annual STRIVE Institute event, my colleague Alex Thome and I at Penn Foster were able to get a front row view of the work happening across the entire STRIVE network as their affiliate partners and team members gathered in Washington DC last week to plug into their strong sense of community, share best practices, and deliver on their vision. One STRIVE. Committed to helping those most in need rebuild their lives through empowerment, employment and economic mobility. 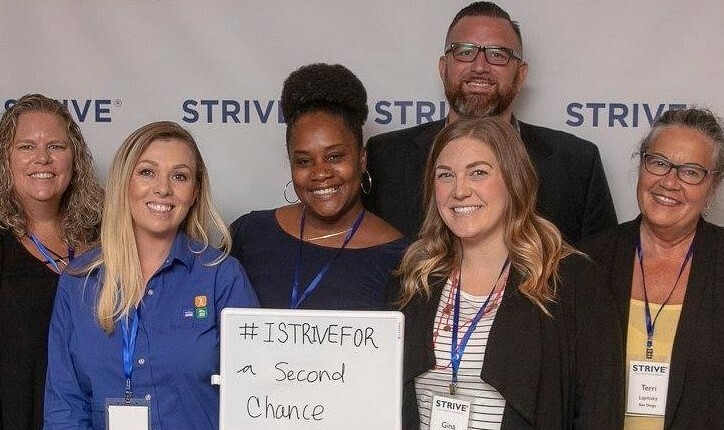 The first thing you learn about STRIVE in their opening session is that the organization is part science and analytics, part inspiration, and part old-fashioned hands-on revival meeting. The energy in the room is authentic and palpable, as participants get up and on their feet dancing. But, this is not just about feel good. STRIVE is a mission driven numbers business, and their numbers speak for themselves. Over 73,000 people have transformed their lives since they became part of STRIVE. A huge percentage of these people come from low-income communities (63% have no income), where the justice system plays an inordinate role (61% justice-system involvement) , and where over 92% are people of color and a disproportionate number are chronically underemployed or unemployed. These people are also unique individuals looking for a second chance, and each of them has a name. Roy Castro, the keynote speaker, is one of them. Roy has a unique and inspiring story. By the time Roy was in his early 20’s, his first exposure to a job came in the drug business. His father had left the scene when he was an infant, and his mother was an addict. He came to the doorstep of STRIVE in 2003 after serving nearly a decade in federal prison on a drug charge. His first job in the neighborhood on the outside was cleaning out freezers and equipment at Edy’s Ice Cream, and he was quickly promoted to manager. From there, he continued learning and growing and doing all the things people strive for—owning a home, starting a family, and looking to make things better for them. In 2013, Roy bought his own Ice Cream distributor, which now employs 15 people and generates over $6M in business. As a graduate of Goldman Sachs 10,000 Small Business Program, Roy is now leading New York’s largest ice cream sub-distributor “selling the good white stuff now.” STRIVE’S business model ensured success for Roy so that his past didn’t define him. So that he could get and keep a job, grow and empower others by ultimately creating economic and employment opportunities for his family and community. This is just one story of many, each connected by a complex and growing network of partners, mentors, and organizations dedicated to changing lives. Penn Foster will deliver high quality online programs with wrap around services that include foundational literacy and numeracy skills, workplace readiness training, and technical career pathways leading to an industry recognized credential. As Frank Britt, Penn Foster’s CEO shares: “We view our STRIVE and JFF partnership as a powerful step forward, and a force multiplier for social outcomes. We expect this to become a blueprint for blending the best of local efforts with a series of solutions that can be scaled to serve many.” That’s how the empowerment business ultimately flourishes, and creates high returns.